If you've kept up with FOV (Family Of a Vet) in the last year you might have noticed that things have been conspicuously quiet in the last 8-12 months. Something I - Brannan, founder of FOV - but more than that the chick who sort of eats, sleeps, and breathes this work and mission because somehow, amazingly and thankfully, this mission/passion/calling found me almost a decade ago and has become the most amazing adventure I could have never imagined - feel guilty about sort of 24x7 right now. I'm not sure I could catch you up completely on our personal life - the rather chaotic mess of daily survival - that the hubby, kiddo, and I are currently trying to nudge our way through (and have been for well... probably more than a year at this point). Our finally-found-deeply-liked-actually-could-get-the-hubby-to-listen primary doc at the VA retired and was replaced by a complete idiot (I don't use those words lightly and am not typically a "personal attacks" type of chick, but ohhhhhhhh my) who then so very helpfully told my dear husband who regularly has major paranoia about the VA trying to kill him via his Meds that leads to a constant battle to get him to take anything consistently that he (the hubby) was probably right that he shouldn't take his Meds. (I do think the doctor actually meant that no one should overtake medications... But well, noooooot how it "translated"). My mom, the person who sort of was the "fixer" in my world... who somehow, inexplicably managed to reach into tough times and soften them in ways I didn't fully notice ... took her trip to heaven after a lengthy battle with cancer. My own somewhat under control neurological condition suddenly became a mess of anything but "controlled” and has netted me several surgeries, hospital "vacays", and a daily mess of trying to think clearly through ... Well... Almost anything. Our amazing, incredible kiddo is approaching the "tweens" and has been struggling with depression and figuring out her way in the world amidst our... Uhm... Less than conventional world. The hubby's wonderful, amazing Vietnam friend - sort of our own personal mentor in this messy life after combat - died unexpectedly. Shilo, my hero's so smart, so sweet, so perfect service dog developed a sort of major disorder. And with the hubby's struggles, my own sooooo less than able to manage all the moving parts challenges, and all the other chaos at the moment, we can't seem to get her well. We aren't consistent enough, we aren't on "top" of things enough. And so, because we love her, we are letting her go - back to the incredible organization she came from (and her trainer who will help her get well and then find her another family to help). I could actually keep adding to that list for a few thousand more words, but you get the point. Basically, almost every piece that was in place that helped us manage this after-combat life has vanished in the last 12 or so months. And I had so much more ... Well... EVERYTHING when I first started getting those pieces in place 9 years ago. But now I find myself in those quiet, dark moments struggling to see a way through... a way to get the hubby back on his feet, get myself physically well, nudge the kiddo forward on the path in front of her, and all the other endless broken pieces that seem to be endlessly swirling out of control at the moment. But the long and short of it... Of these lives we lead... Is that I don't have a choice. I have to fight-pray-will-struggle-beg our way through. I have to stand, figure out how to put the "falling apart" back together again, and keep moving until I believe that's possible. I know many of you will read this and completely get exactly what I'm saying. For us and for the heroes and kiddo's we live, combat never ends. Sure it looks different... Our battlefields and the wars we wage on them change almost as quickly as we conquer them. But loss is not an option. It's not in us, and if it ever was these lives quickly build a "never give up, never stop" thread into the fabric of who we are. And so, we fight. We fall apart. And we fight again. Heroes and families - the literally thousands of them that I have met or talked to in my years in this work - are some of the most inspiring-unseen-unbelievable-amazing people any could know. But unfortunately for those of us in these "trenches" those qualities are far too often refined under strains and hardships we never imagined enduring yet somehow still have to find a way through. Hi, My name is Joao (John) Vieira. I have chronic pain because of accident, and I have experience that maybe can help your husband. In my case PTSD was affected me a lot after the accident, but other environmental changes make me struggle when I get overwhelmed...I did learn how to not pay attention to triggers, but we need to be careful how to be overly positive... Thankfully, I found faith that helped me to cope and move forward, but my faith has helped me to do the work, because if I don't do it, nothing happens... I was stuck for long time though, and my faith in God just kept me from doing something crazy...With that said, I am a believer, and was faith that helped me to not give up and find my own way to cope with my painful condition, and with own questions about faith..In the end, my faith now is stronger, just with a much broader meaning. i think that even for atheists, the information that I have can help some. because the current situation is not acceptable in my view due to to disconnected institutional resources, I am trying to help veterans directly with the way that I found to address and cope with chronic pain, just using minimal medications. Anyone reading this can message me to lifecrane at g mail, . Please note, i am not a psychologist , and I share only my experience. Anyone questioning should look for professional licensed medical staff care if needed. I just tripped over your blog! Just wanted to tell you what an amazing job you're doing. 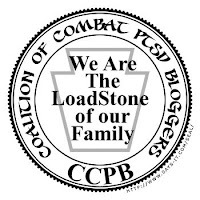 I myself am a wife/caregiver for my husband who suffers from major PTSD and depression. We have 3 small kids and I feel every ounce of your struggle. Thank you for putting it out there, it can feel pretty lonely when nobody understands why we do what we do. This site has helped me so much this week. My combat disabled vet really took off on a new one last week. He's been retired 4 years under bipolar disorder and,somehow the VA failed him or he failed the VA, and never got his PTSD diagnosed and treated. We just managed to deal and I hoped one day he would realize it was time to tell the doctors. I knew him before combat and knew the bipolar disorder. This horror that we went through was something I have never experienced in our 18 years together. I have sat here, hours on end, reading everything on this site, shaking my head and crying as I know all of this too well. Since we moved away from our military areas, he and I both have had a hard time adjusting to being around the "normal" world. It has been difficult to find friends that understand. Thank you for sharing your hardest moments. I recently found your site and it gives me hope and courage.